shopping | my heart is happiest when i travel. read. write. connect. 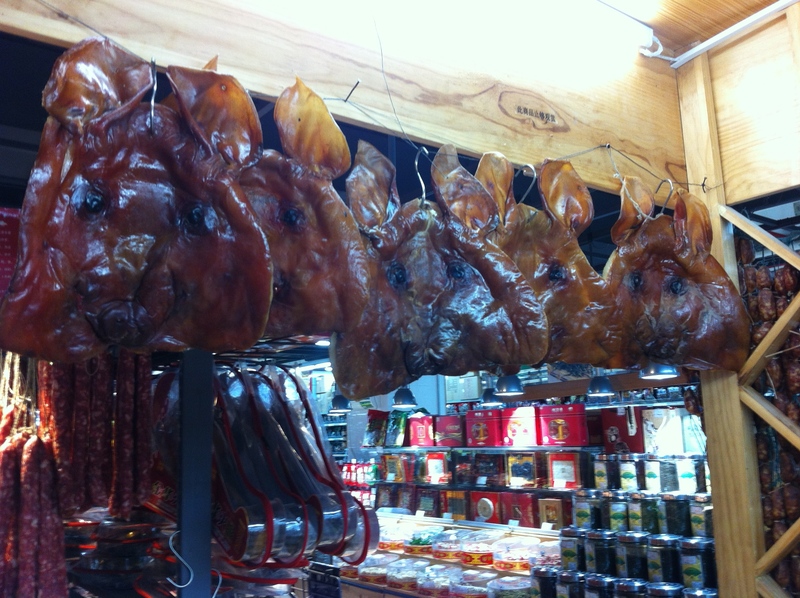 Who doesn’t need a flattened, dried out pig face?!? 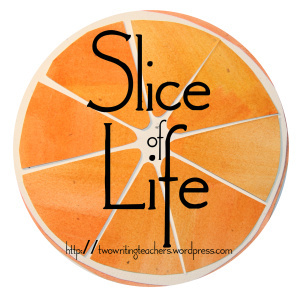 Haha…I’m not quite sure if people eat this like a piece of jerky or if they cut it up and mix it into soups or other food. What do you think? 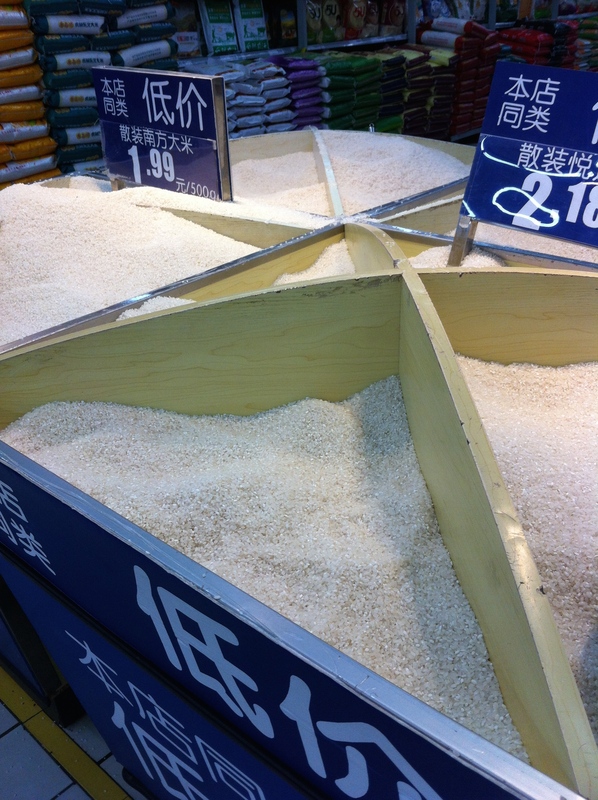 Rice in bulk, sold by the kilogram. We all know rice is a staple in China. In addition to being able to purchase it in large bags, you can buy whatever amount you need. 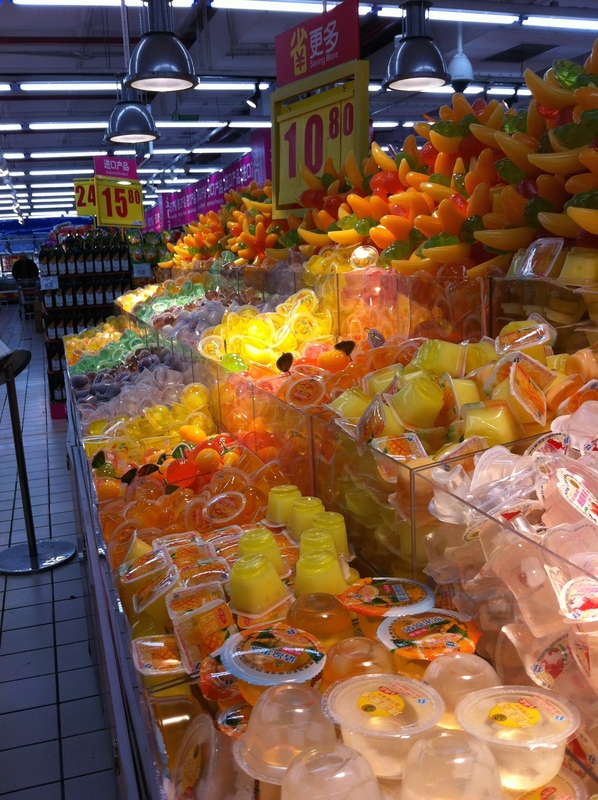 Jellied candies as far as the eye can see! In the middle of the store, you can buy loads of bulk candy by weight. Of course there are chocolates (Dove and Snickers are popular), but there are also jello-covered candies in a variety of shapes and sizes. Oil galore! 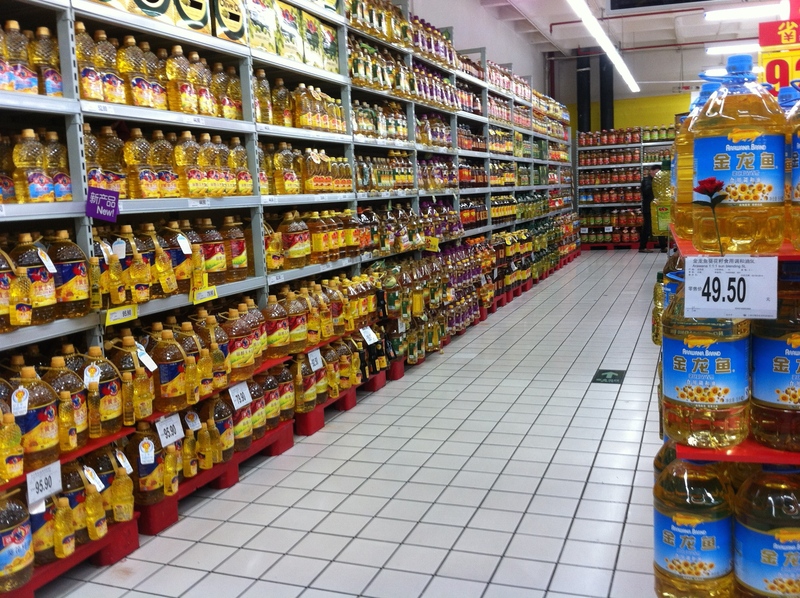 Assorted varieties and sizes of oil, taking up 2 aisles, are in abundance. 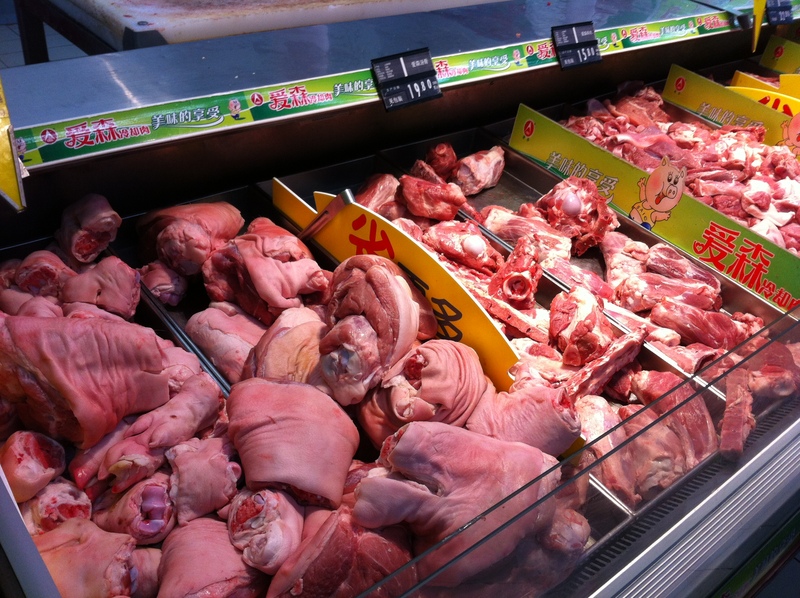 If you know anything about Chinese food, you know they use a lot of oil! 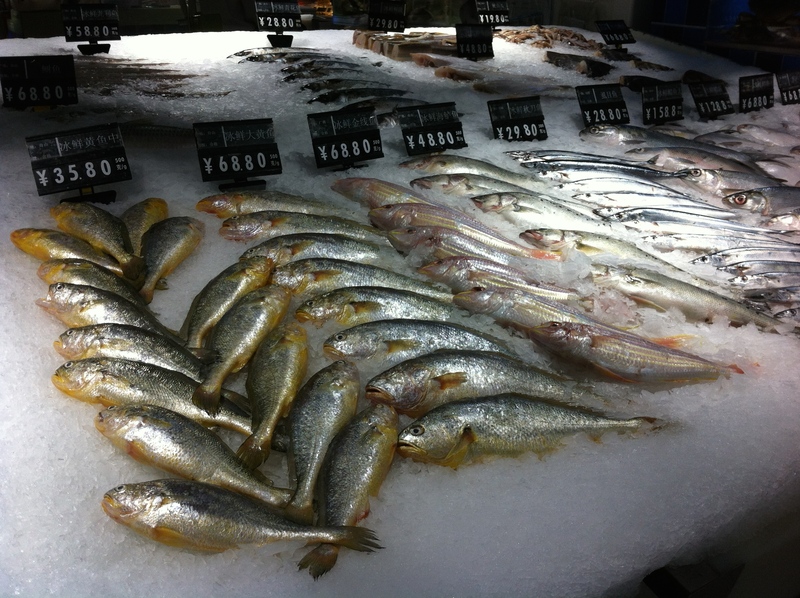 What kinds of unusual things do you see at your supermarket? 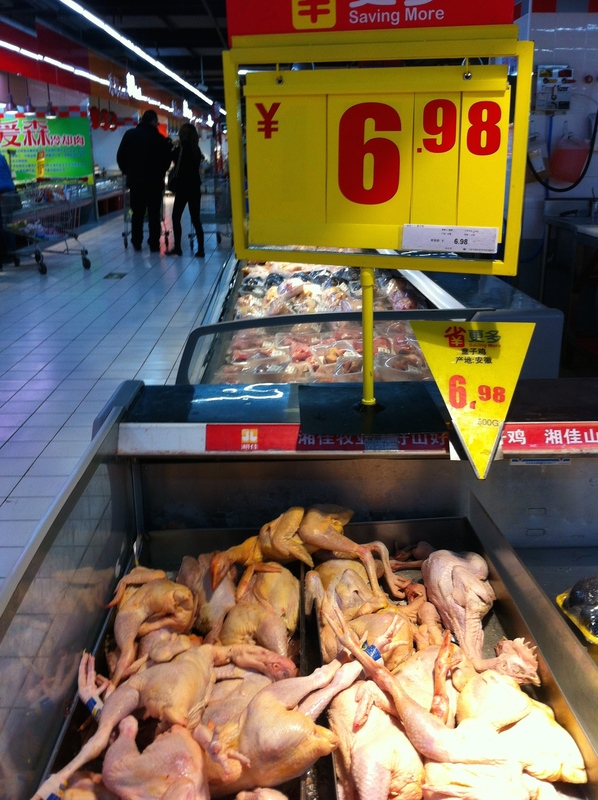 This entry was posted in Slice of Life, Travels and tagged #sol14, China, living abroad, Shanghai, shopping, Slice of Life, supermarket on March 23, 2014 by aggiekesler.